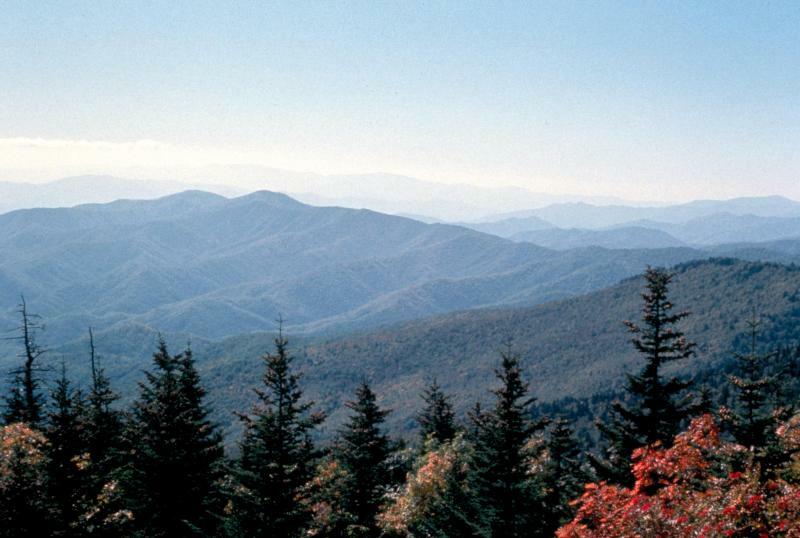 Camping is abundant in Great Smoky Mountains National Park, and the options range from rugged to luxurious. Full information on the variety of options and campsites can be found at the park’s website. Here’s our quick guide to all your options. Backcountry camping involves hiking to a camp site located deep in the park away from other roads. This is the most pristine experience, and also the most physically demanding of course. By contrast, there’s frontcountry camping. You can drive your car to these sites, which are more developed, with water and toilets. Each individual space has a picnic table and a fire grate. Many of the frontcountry campgrounds allow RVs, trailers and motor homes. Permitted sizes differ, so it’s important to plan ahead. In general, there are no electrical hookups in the park, except for medical emergencies, and no shower facilities. Extending the frontcountry options are several larger campgrounds with communal sites for groups of 7 or more people. Most sites will accommodate 20 to 30 people. These campsites are for tents only, and no RVs or sleeping facilities on wheels are allowed. Wheels are only for driving to and from the site. There are also horse camps, that you can reach by car, with minimal facilities for tent camping. Regulations are strict regarding stabling. Horse camps are situated with ready access to backcountry trails. Most campgrounds in the park are not gated, and late arrivals are permitted to arrive, being considerate of other campers of course. All campers must register and pay a fee. Not all places require reservations, but many do, and it’s best to make reservations in all cases – look for the ways to do this as you select your sites in advance. Pets are usually allowed in frontcountry campgrounds, kept on a 6-ft leash. They’re not allowed on trails, so they also can’t get to backcountry campsites. Generators are often allowed, with noise restrictions at set hours. Alcohol is generally permitted in campgrounds, although open containers in vehicles are of course prohibited by law. Weapons (including fireworks) are not permitted and hunting is forbidden. Is the campground open during my visit? How do I get to it – driving or hiking? Where can I find maps and tout guides? Sudden closures can occur – where can I check that roads and trails are open? What water and other facilities are available? Where’s the nearest food to purchase? Where’s the nearest medical facility? What are the rules and regulations for the site? The park is a nature preserve, which is why people love it. The best way to enjoy it is to leave it better and cleaner than you found it, with the wildlife and settings undisturbed. There a good etiquette that’s worth learning. Even more, there are strict regulations, with penalties, that apply to park visitors and you should know what’s expected of you before you go.